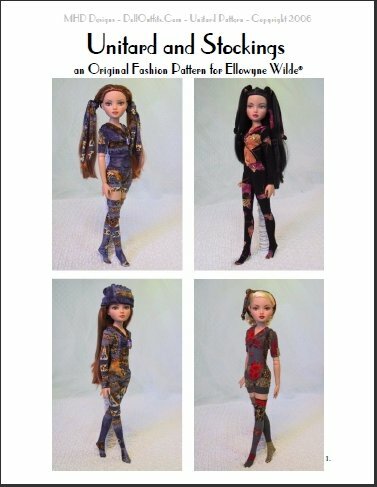 My original human sized pattern has been carefully sized and adjusted to the curves and proportions of Ellowyne. It does a great job of hiding her joints, and gives her a very pleasing appearance - as a stand alone garment, or as an undergarment for dresses, kimonos, etc. instructions with color photos showing every step of the sewing process. ALL of your girls will be warm and modest with a supply of MHD Unitards.